For today's Etsy haul/review I will be reviewing Aloha Prints Co. Aloha Prints Co is a Etsy stationary shop based in Hawaii. The shop features cute pens, stickers and washi tape. I've bought from Aloha Prints multiple times before and they're process and shipping time is extremely fast! 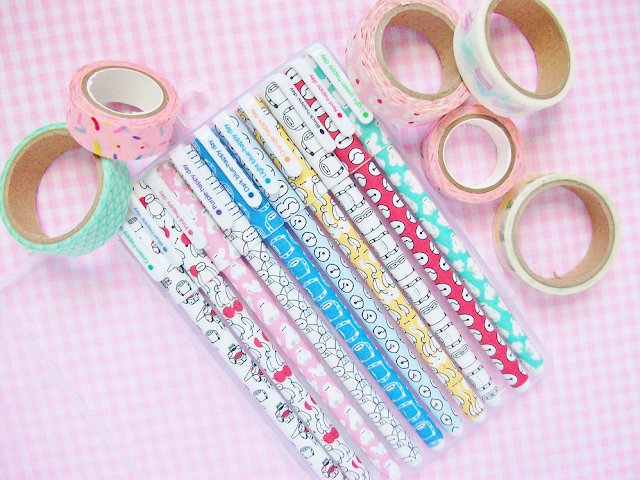 I would highly recommend this shop to you guys if you are ever in need of washi tape or a set of rainbow pens for an affordable price. 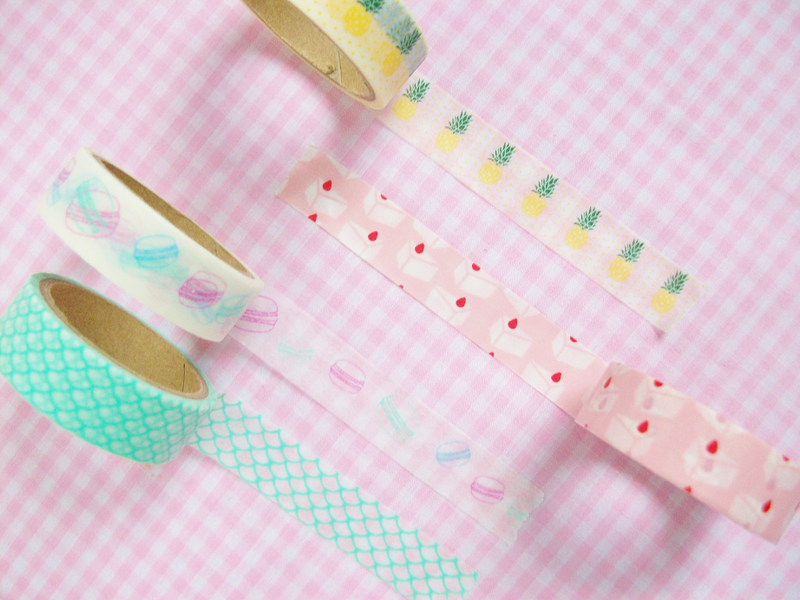 Back when I first ordered from Aloha Prints Co it was midsummer and I wanted summer and dessert printed washi tape. I bought a teal mermaid scale and pineapple washi. 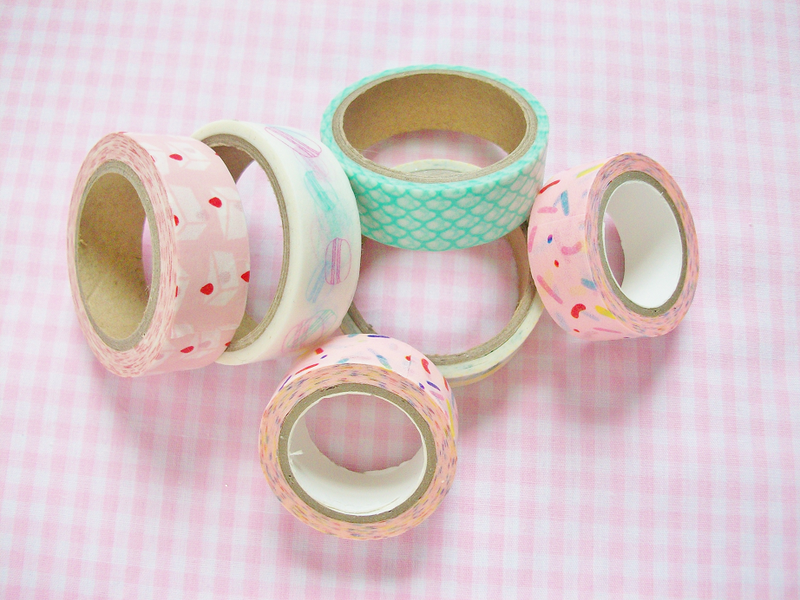 I also bought some cute sweet cakes slices and macaron washi tape. They're all absolutely kawaii! As you guys know I am obsessed with Baymax, I love that huggable marshmallow! So, when I saw these Baymax pattern pens on her Instagram I absolutely had to get them! 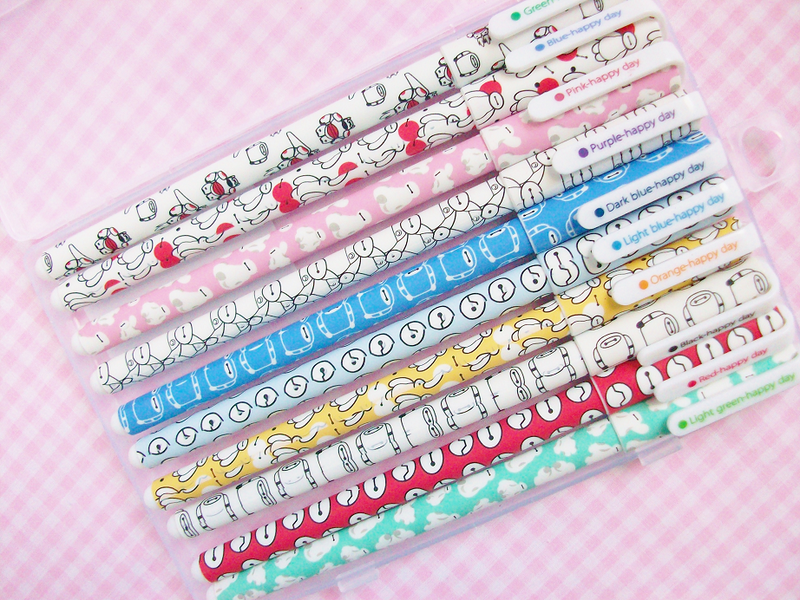 The set comes with 10 different colored pens all stored together in a convenient plastic case.